A celebration of life for Robert Wayne Ellis will be held at 10 a.m. Saturday, Sept. 1 – his 83rd birthday – at Centre Avenue Baptist Church. Rev. Michael Elliot, Rev. G. Eric Kaiser and Bro. Dennis Davis will officiate, with graveside services to be held at a later date at Woodbine Cemetery. 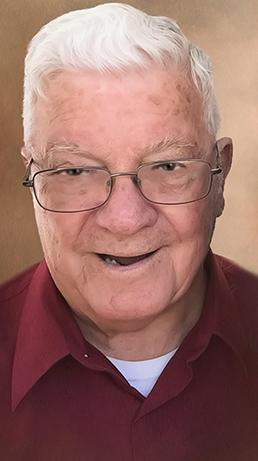 Robert had been working almost 50 years for his heavenly reward, and on Monday, Aug. 27, 2018, he met his precious Savior and received his reward. Robert started his worldly journey Sept. 1, 1935, in Rutherford, Tenn., the son of George Fredrick and Dorothy (Davis) Ellis. On Oct. 8, 1955, he married Gladys Irine Pinson. One of Robert’s greatest accomplishments was being a husband, father to five children, grandfather to 15, and great-grandfather to 22. Robert was a retired electronic technician and never really retired from preaching the gospel, preaching wherever and whenever he could. He loved fishing at any lake, river or hole that had water and loved to take his children, grandchildren and great-grandchildren hunting when he could. Survivors include daughters Diana K. Harvey and husband Danny, and Debbra Garrett and husband Kenny, both of Artesia; sons Robert W. Ellis Jr. and wife Tonya of Roswell, and Ricky Ellis and wife Linda of Artesia; cousin/brother-in-law Bob Davis and wife Onie, and brother-in-law Willie Pinson and wife Denise, both of Artesia; sisters-in-law Katy Pollock and husband Jim, and LaRue Pinson, both of Artesia; grandchildren Kortney Garrett and wife Megan, Joshua Garrett and wife Tammy, Kenzie Taylor and husband Brandt, Kelsie Sanchez and husband Jesus, and Stacy Harvey, all of Lubbock, Texas; Kandice Barley and husband Wesley, Nathan Harvey, Brenden Harvey and wife Heather, and Casey Ellis and Geno Ellis, all of Artesia; Eric Kaiser and wife Erica of Plains, Texas; Jehra Hedgecock of Carlsbad; Allyson Jo Ervin and Onnie Jo Ervin, both of Roswell; and Ashley Ellis of Houston, Texas; great-grandchildren Austin Harvey of Huntsville, Texas; JD Harvey, Kaydence Garrett, Parker Garrett, MaKenna Garrett, Kaleb Garrett, Logan D. Garrett, Bryant Bilberry, Easton Taylor, Embree Taylor, Kolson Taylor and Liam Sanchez, all of Lubbock; Aidan Kaiser Barley, Millie Barley, MaxiMae Barley, Kaylan Wood, Caliber Harvey, Corbin Harvey-Mayberry and Wik Harvey, all of Artesia; Gus Kaiser of Plains; Little David Hedgecock of Carlsbad; and Leroy Robertson of Roswell; and numerous nieces, nephews, great-nieces and great-nephews. He was preceded in death by his wife; his parents; brothers-in-law Walter Robert Pinson, M.T. “Pinky” Pinson and Charles Ted Pinson; daughter Donna Denine Barber; and grandson D. Robert-Martin Harvey.